This is the first article in Denise Silber’s new interview series on the Doctors 2.0 & You blog presenting leaders in “Reverse Innovation for Healthcare.” Reverse innovation is an economic concept involving the bringing of innovation from emerging economies to developed economies. This topic will be the focus of FAMx Paris, a conference for healthcare stakeholders, organized by the Foundation of the National Academy of Medicine and Doctors 2.0 & You. As healthcare issues become global, we discover that similar solutions can work around the world. 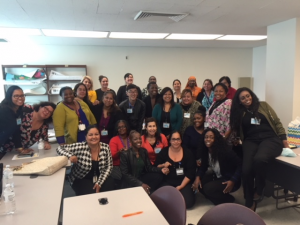 And so, the Los Angeles Department of Health Services is applying community health approaches that were developed in Haiti and pursued in Roxbury, Massachusetts. Meet Heidi L. Behforouz, MD, keynote at FAMx Paris, (May 31-June 1, 2018 at Unesco). Dr Behforouz is committed to primary care that serves the needs of the most vulnerable. For her and a growing number of professionals, the community health worker is key to effecting lasting change in the delivery of care and in the health of communities. Dr Heidi BEHFOROUZ is the Medical Director of Housing for Health at Los Angeles County Department of Health Services. She oversees LA County’s clinical initiatives to improve the health and wellbeing of the largest homeless population in the US. Dr Behforouz is an Associate Professor at Harvard Medical School, Medical Director, consultant, and clinician. She is also Founder and past Executive Director of Partners In Health’s Prevention and Access to Care and Treatment (PACT) project in Boston, Massachusetts which employed community health workers to advocate for the health and wellbeing of inner city residents infected with or at risk for HIV and other chronic diseases. Community health workers provide home-based health promotion and complement the efforts of primary care providers in the highest risk patients. 70% of HIV/AIDS patients enrolled in PACT achieved clinically significant improvements in health status, after one year, with a net 16% reduction in total Medicaid expenditures after two years. This program was cited as a best-practice complex care management intervention and has since been adapted for the care of patients with other chronic diseases (diabetes, mental illness, pulmonary disease) and psychosocial complexity. 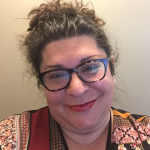 “I was interested in medicine as a vehicle to do advocacy for the most vulnerable, the people of color, people living in poverty, those who had faced historical trauma. I had almost quit med school after my second year. I didn’t like the ethos, the divide between the words we are asked to use and what I wanted to say. You’re encouraged to be efficient, to perform. This was antithetical to what had brought me in to medicine in the first place. I felt I was losing my humanity. But in 1990, Harvard Medical School began a transition from rote-based learning to more patient-centered, case-based learning. We were learning between students and working through the whole person and not just medical data. I went to Haiti during medical school and seen how they organized community health workers to go to people’s houses to help not only with getting patients to take their medication or go to a clinic but also to attend to a leaky roof, daily practical needs. Most people know that someone is a whole human being. They practiced it. It was a really cool exchange. When I was graduating, I went to get advice about my professional plans, from someone I idealized, Paul Farmer, a liberation theologist. He invited me to join Partners in Health in Cambridge, Mass. PIH was a half mile from Harvard Medical School, near Roxbury and Dorchester with their health disparities. Paul introduced me to Maria Contreras, a community activist from the Dominican Republic. Maria spoke of violence, drive-by shootings; she went door to door to develop communal mom policing programs, to build solidarity with healthy barbeques. We held town meetings to get people involved in improving access to healthcare. This was based on the accompaniment model of prevention, access to care, and treatment I’d known in Haiti. Learning from these two experiences in Haiti and Roxbury, Boston, I have become a strong proponent of community health workers. We flipped the medical pyramid. Front line care comes from you and your neighbor. Only when that doesn’t work does medicine become consultative. In the US and in Europe, medicine is financed and driven by tertiary care. That business model is on its head. More recently, I moved to LA to work with the LA county department of health, where there are 70 000 homeless people. I wanted to scale up the community health approach in a larger system of care, by integrating community health care workers into county clinics. We recently joined forces with Housing for Health.